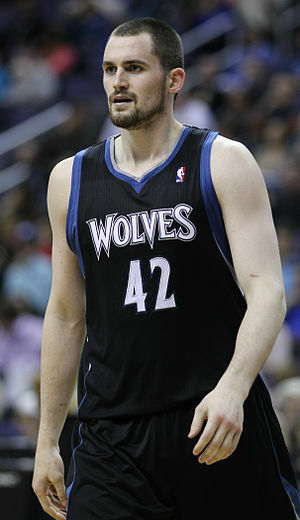 Can Minnesota’s Kevin Love become the NBA’s newest ’26-13′ player? Sports Stats ‘on Tapp’ is a sports statistics blog published multiple times weekly focusing on stats that go beyond the numbers. As Minnesota Timberwolves star Kevin Love and the team decide how to deal with his “mild concussion” and if he will return for the remainder of this season, his stats for this year sit at 26.0 points per game and 13.3 rebounds per contest. Should Love and the team decide that he will sit out the remainder of this season, Love will end the campaign as only the fourth player in the last 30 years to average 26+ points per game with 13+ rebounds per game. In NBA history, there have been 40 times when a player averaged 26 points and 13 rebounds per game. The last to do so was Shaquille O’Neal in the 1999-2000 season when he averaged 29.7 points per game and 13.6 rebounds per contest. Here’s a quick look at the last five occasions when a player ended the year with a “26-13” season. If Love ends the year with a “26-13” season, he will become the 13th player in NBA history to accomplish this feat. Wilt Chamberlain tops the list with eight “26-13” seasons. Here’s the 12 players who had at least one “26-13” season in their NBA career. Did you know? Here’s another interesting fact about Kevin Love’s 2011-2012 season. If he ends the year averaging over 13 rebounds per game, he will become only the fourth player in NBA history to average 13+ rebounds and make over 100 three-point shots. First to accomplish this mark was Shawn Marion of the Phoenix Suns in 2004-05 when he made 144 three-points shots to go with 11.3 rebounds per game. Antawn Jamison with Washington in 2007-08 made 120 threes along with averaging 10.2 rebounds per game. The last player to accomplish this feat was Indiana’s Troy Murphy, who did it in two consecutive seasons, 2008-09 (161 and 11.8) and 2009-10 (128 and 10.2).